Apartment, 2 - 3 people, 2 room/s, 1 bedroom/s, 1 bathroom/s, approximately 40 m², 1 floor/s, apartment on floor 3. Feature: Property in an apartment house (max 4 floor(s)). Partially low ceiling height (2.05 m). Equipment: TV; internet access Wi-Fi (included); washing machine; gas central heating; air conditioning (not available in the bathrooms). Valid from from 19/10/2018: Please note that a late arrival fee will be charged on site for arrivals after 7.30 pm. You will find more information in the detailed property description on our homepage wwwinterchaletcom. € 25 per person and stay (depending on occupancy) plus Holiday resort tax. Linen/towels available. Change of bed linen/towels, € 12.50 per person. Deposit € 250 (credit card only, Visacard, Mastercard). Cot € 60 per stay (on request). Pet not allowed. Access/parking: Access to the house by boat approximately 450 m.
The agent describes this apartment as an ideal holiday rental for short trips to the city. It is also good value for money. 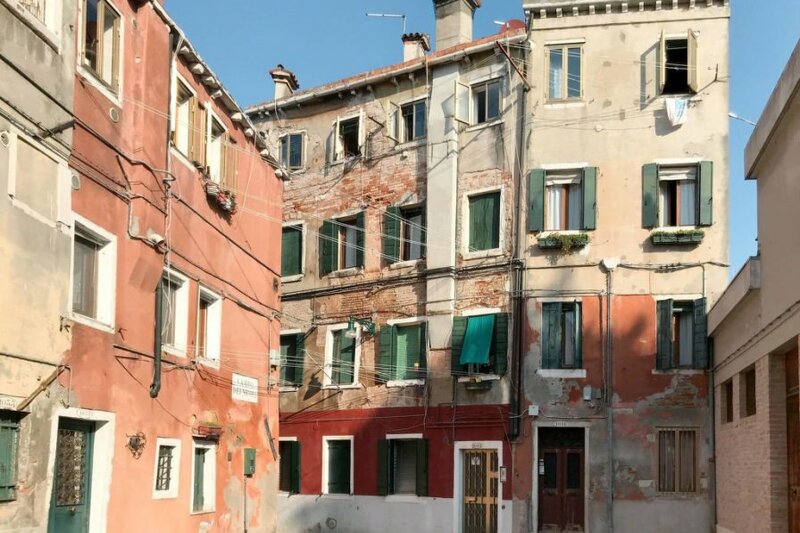 This apartment is located in Venice. It is set in a convenient location, just 0 metres away from a beach and 4.4km away from the city center.